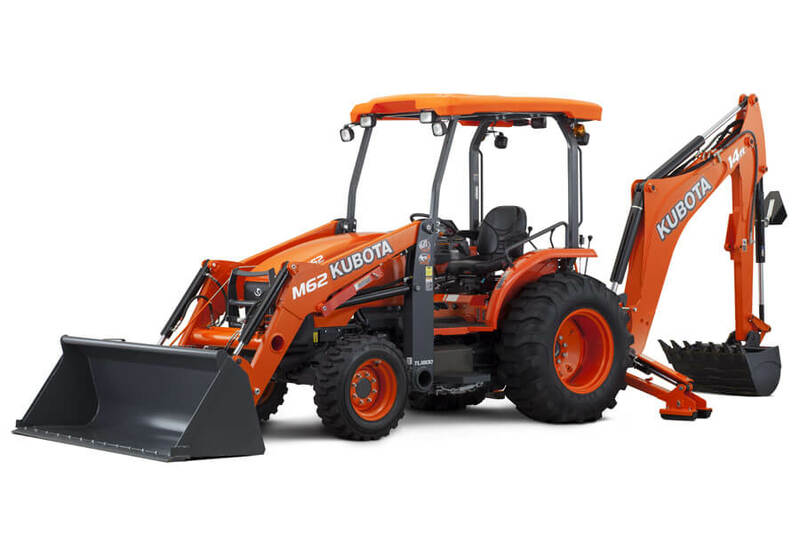 For landscapers, rental services, independent contractors, road departments, farmers and ranchers looking to add speed, power and Kubota efficiency to your worksite, a Kubota loader/backhoe combo is for you. Take on bigger jobs with a 3-point hitch that affords you lift capacity that can accommodate larger implements. The structural integrity of the tractor is designed to take on the pressure of continued backhoe and loader use. This means getting more out of the life of your Kubota TLB, regardless of the implement you plan to use. Tractor/loader/backhoe combos have been historically hard to use because of their limited visibility. However, with our latest Kubota tractors with loader/backhoe implements, you have the benefit of a smart design. Our slanted hood and boom improves visibility, and helps you swap implements quickly, even in the tightest areas. Gone are the days of worrying about your front wheels sliding while carrying a heavy load on your front end. 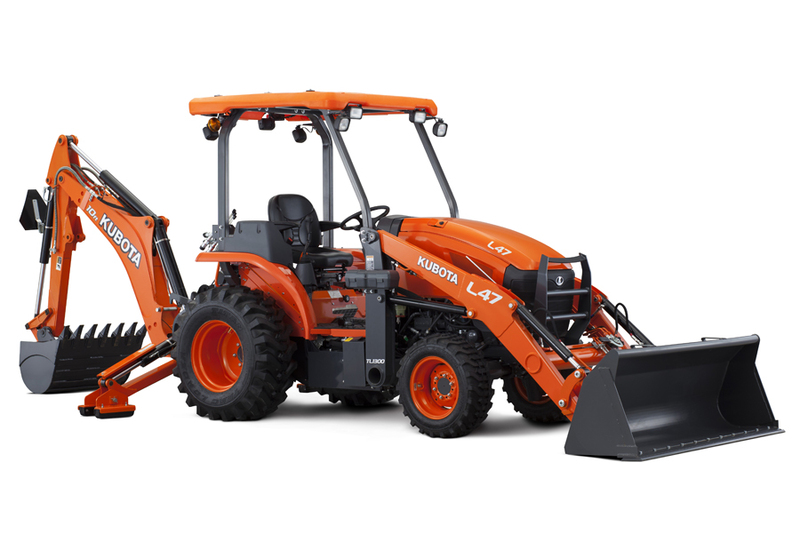 Most Kubota TLBs come standard with four-wheel drive and a differential lock for the front axle. This means enhanced performance regardless of the terrain for conditions. Your work isn’t done just because the sun went down. Our Kubota backhoe/loader combos come with work lights and headlights that are fixed to your ROPS and/or canopy. Because of the installation height, your front and rear-mounted work lights provide excellent visibility. 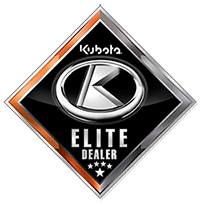 You’ve come to trust the Kubota brand because of our reliability. Our Tier 4 engines deliver low noise, low vibration, high torque rise, high power performance that aligns with Kubota’s high standards. Our liquid-cooled, easy-to-start engine is both durable and dependable. At Bobby Ford Tractor and Equipment, you’re sure to find the Kubota Tractor Loader/Backhoe that you’re been wanting. Fill out the form to get a quote on a TLB today!